I have vivid memories of the first time I saw Brideshead Revisited --the sweeping mini-series, not the recently miscast abridged version. I am told that when it first in Washington, D. C., dinner reservations were easy to come by on the night Brideshead was shown as EVERYONE was home watching it. WETA, the PBS station in DC loved it so much that it seemed every time someone need change for the parking meter, they would launch a fundraiser with Brideshead Revisited. But nothing beats that first experience. I was smitten. Pasty-faced English boys reading poetry and drinking champagne! It was divine. In fact, as memory served me, Brideshead Revisited was the perfect embodiment of Evelyn Waugh's novel. As I remember it, there were hours and hours of those pasty-faced boys and their alcohol. 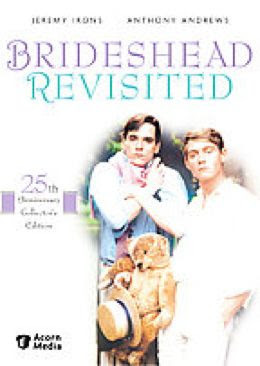 So I can't tell you how happy I was when I received the 25th Anniversary re-mastered DVD of Brideshead. I was so excited that it took me months to actually watch it. I wanted just the right time to allow for the full 11 hours of uninterrupted viewing. Finally that weekend came to fruition. Just as had remembered there were hours of lovely boys drinking to excess. Actually there were about 2 1/2 hours of what I had remembered. And there were nearly nine hours of abject tediousness. Needless to say I was crushed. How could I have remembered it so poorly? Why did Evelyn Waugh ever want to become a Catholic after writing Lady Marchmain? Was my love of Jeremy Irons clouded by my first sight of him? Should I even bother to watch the Medici's? I turned to the great Nancy Mitford for clarification on these matters. 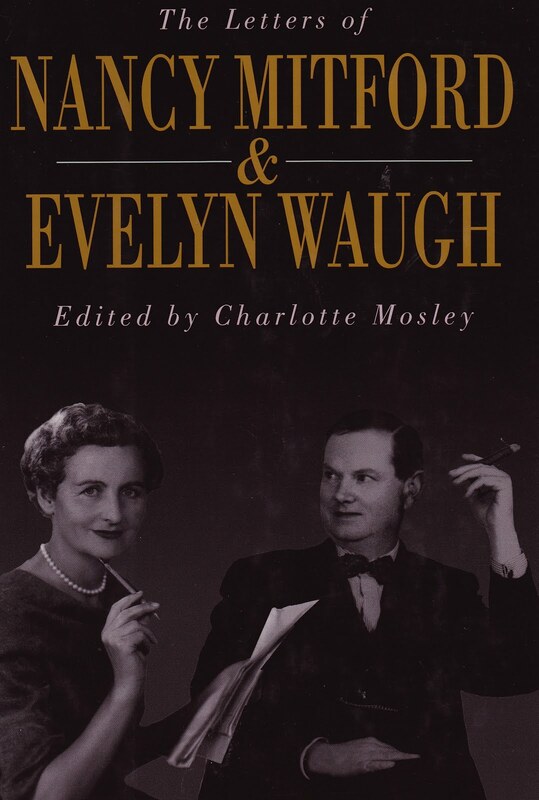 Mitford had asked Waugh how he could behave so abominably and yet still consider himself a practicing Catholic to which Waugh replied, "You have no idea how much nastier I would be if I was not a Catholic. Without supernatural aid I would hardly be a human being." Mitford and Waugh carried on a robust correspondence which has thankfully been published for all to read. While Mitford believed Brideshead Revisited to be a classic, she found the character of Charles Ryder a bit "dim." Waugh wrote, “Yes, I can see how you think Charles is dim, but then he’s telling the story.” Still, this minor exchange was a revelation to me. "Dim" seems to be the perfect word for Charles Ryder and the more I watched my DVD's the more I wanted to smack him! It is inconceivable that anyone would have fallen for Ryder and allowed him to be a part of their lives. I was reminded of an old Fraiser re-run. (Yes, I read AND watch television.) The Crane Brothers find that their favorite actor (the one who came to their school and preformed a Shakespearean tribute and changed their lives) was now a "space alien" in a popular television show. They rent a theater to produce a big stage comeback, re-creating his Shakespeare. And then they see it and he is AWFUL. I, too, loved "Brideshead Revisted" the first time through, but I was not able to make it through the third episode a few years ago. Just like in the story, it was something the first time but that wonder could not be recreated in going back. It appears you are the embodiment of Charles Ryder. He was so taken with the beauty and promise of that dazzling world, but couldn't understand its vast limitations. Somethings are left in their place as warm memories. I remember going to gay bars and young men with their bears...preposterous now, but a piece of a charmed remembered past. Oh BTW, I do not imply that you are "dim", you are dazzling! I to discovered the samr whrn I re-read "A Separate Peace" by John Knowles. The book marked me as a youth, but as an adult I thought this character needs a psychiatrist. This is my latest reading adventure...re-reading books that I loved as a youth and seeing my opinion of them now. I felt equally disappointed when i re-watched "A Lion in Winter". It seemed more like a bad farce than an award winning drama. I wonder if "Chariots of Fire" has held up well over time? I think we do indeed find some entertainments fun and interesting the first time around and much less so the second. I can easily identify with your feelings, but perhaps more so because Jeremy Irons, and indeed Anthony Andrews haven't really done anything as good ever since. And I was young and impressionable when first I watched it. I have just discovered your blog and it is already one of my favorites. I spent the better part of last evening reading over your old posts, especially ones about the Mitfords (haven't read them yet)m and the Happy Valley set (recently finished The Bolter). In regards to Brideshead revisited: I just watched it for the first time last year and I am thinking about buying it I wonder if I will feel as you do. After all, I couldnt get enough of Room With A View when it came out but I havent watched the collectors edition DVD that I bought 2 yrs ago. Maybe it's the memory of the movie that I should possess and not the reality. im visting your blog the firt time, but i have to say, i liked so much this tv serie and ihave it at my dvd collection too :) it was so beautiful. have a nice day! I wonder how we are going to feel about "Downton Abbey" in 10 years....dollars to doughnuts we'll see it as a fancy dress "Peyton Place".....oops, that dates me! I always loved Brideshead Revisted also, but it's the soundtrack from the original show that I still often listen to and enjoy! Simply incredible! you did an amazing works with this stuff! I was completely enamoured of the book, but I've never seen any of the films. I worry they'll put me off, but I'm determined to see them.